I am so happy to anounce that the other night I had my first SoulCycle experience! My first impression: love everything about it. I have been dying to get to a SoulCycle class for quite some time now, but for a while the closest studios were in Manhattan. Needless to say dropping in for a class was unfortunately not the most convenient. 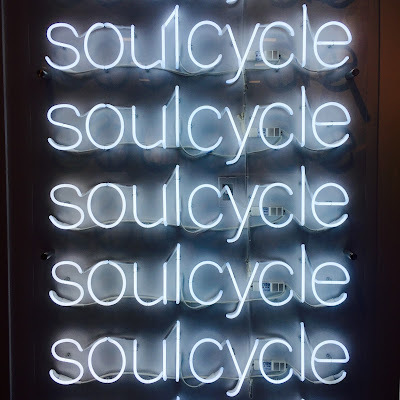 However SoulCylce has finally made it's way to Connecticut with two studios, one in Westport and the other in Greenwich. Although they are still not the closest to me, it is still much more doable than the city! I have always been a very active person. I love to run & work out. It keeps me happy, keeps me sane, and keeps me fit. Growing up I was a competitive gymnast, and for twelve years my life revolved around all things gymnastics. I credit gymnastics for instilling in me this need & love to be active. When I graduated high school, I decided not to continue on with collegiate gymnastics. Not having the structured workouts that gymnastics provided forced me to find new ways to exercise and stay fit. At some point while trying to figure out a new workout routine, I decided to give spinning a try. I knew immediately that it was something I really liked and could easily incorporate into my exercise regime! That first ride was my sophomore year of college, and to this day I still love cycling. There was just something about the combination of the music, the group atmosophere, and the amazing workout that got me hooked. I love that after even just a fourty-five minute class, I walk away feeling like I got an amazing workout and knowing I did something good for myself. 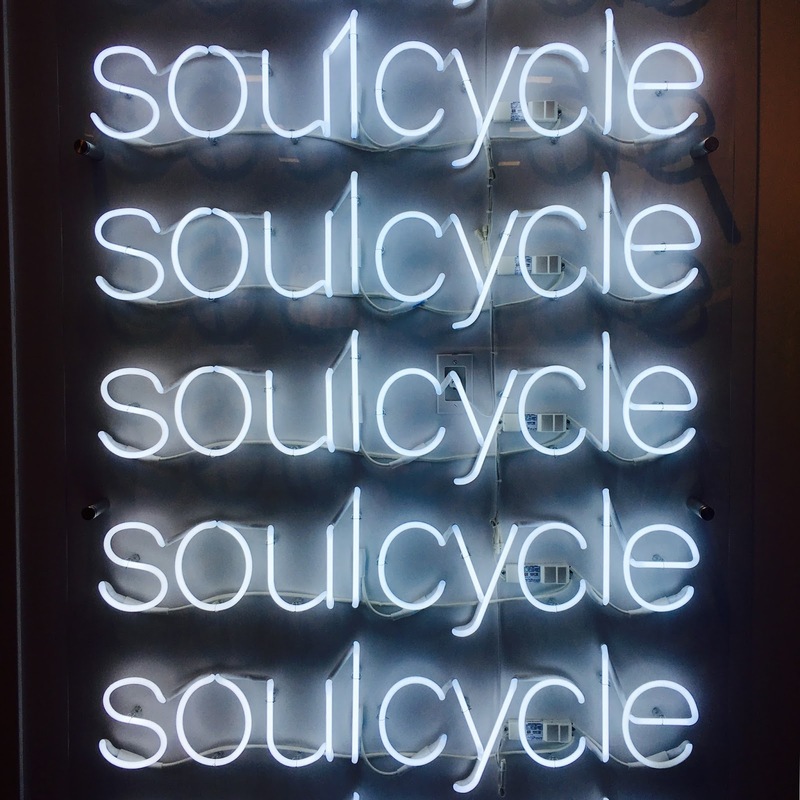 When I first heard about SoulCycle, I knew I had to go. The concept of having a workout that is good for you body and your soul had my name written all over it. That in combination with riding to killer music in a candle-light room with a super motivating spin instructor was very appealing to me. Although it took me a while to get around to going, let me tell you, it lived up to all the hype. I now know why people swear by it and why it has become so popular. The workout itself was everything I wanted it to be and then some. I absolutely got a great sweat out of it & was sore the next day - can't complain about that! Everything else about Soul was top-notch. The instructor was amazing, the staff were all super nice & friendly, the studio itself was very well designed & clean, the bikes were awesome - overall the atmosphere of the entire place was just very cool. You are definitely getting more of an experience than just a spin class. Needless to say, I will most definitely be going back! 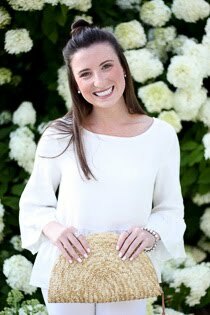 Nothing gets me motivated to exercise like a cute new workout outfit, so I thought I would share some of my favorites! Regardless of if you are cycling or taking part in another form of exercise, there is no better way to feel confident while doing so than by looking good! Check out my picks below and go out there and get moving!